Our goal as a contract manufacturer is to develop new product offerings that help you realize your vision and make your brand stand out. Our formulations have been used by many of today’s leading nutraceutical brands and as store brands by large retailers in the US and Canada. Santa Cruz Nutritionals produces and packages the following products, as well as, organic certified gelatin gummies, pectin gummies, and jelly beans. Great brands are not built overnight. An entrepreneur’s vision inspires teams to work tirelessly until the idea becomes real and the whole world knows about it. In 1968, our founders, two surfers in Santa Cruz, realized their dream by pioneering the first ever trail mix sold at retail. Over the years, this business evolved and grew into one of the leading snack and confection manufacturers in the US. In 1997, our scientists came up with the idea to put vitamins into confections and created the first ever multivitamin gummy. Since then we’ve led gummy innovation by launching gummy category firsts, including children’s vitamins, calcium, fiber and more. Our commitment to natural ingredients and innovation built Santa Cruz Nutritionals into the leading North American contract manufacturer of gummy vitamins and supplements. That tradition of making health more enjoyable has been our winning formula for almost half a century, longer than any other U.S. gummy manufacturer. Our organic “gummy scientists”, proprietary processes, and long-term commitment to customer success have backed the biggest nutraceutical brands as they rose to the top. We can help you too, whether you are a start up or a billion dollar brand. Our products range from simple gelatin vitamins to organic pectin based botanicals. We even have built the first ever probiotic gummy manufacturing facility in North America. 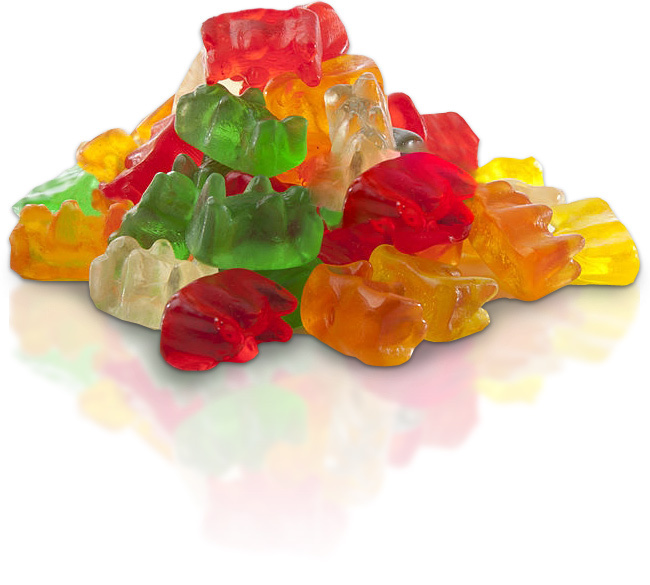 With a total capacity of over 50 Million gummies per day, we can help you realize your vision. As you grow, we grow with you and scale our operations to meet your needs. Give us a call, we’d love to partner with you to help you build success with you gummy business.